Stylish and packed full of convenient functions, making breakfast with the De'Longhi Scultura CTZ4003BG 4-Slice Toaster is the perfect way to start your day. 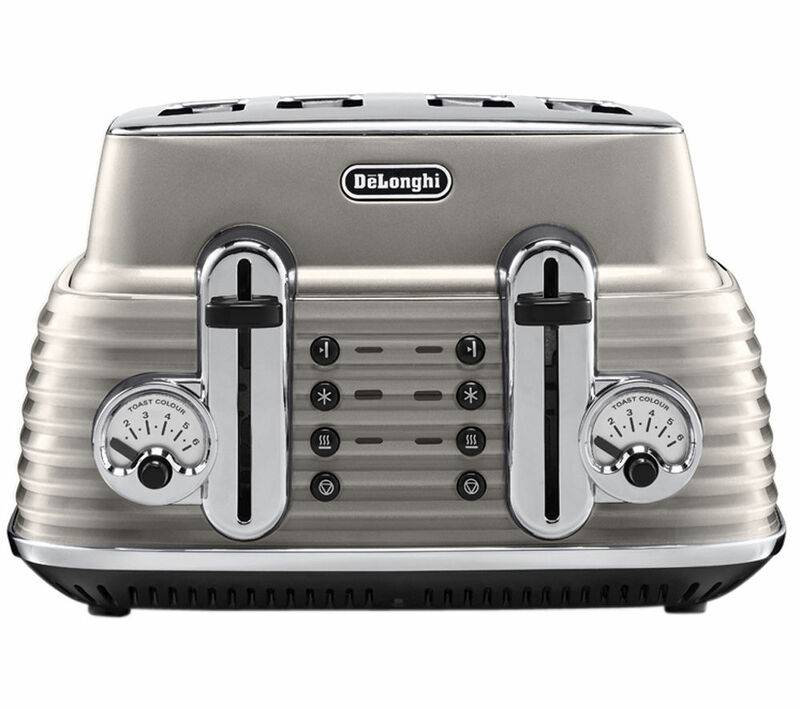 Featuring an eye-catching champagne design, this De'Longhi toaster looks as great as the toasts it serves. 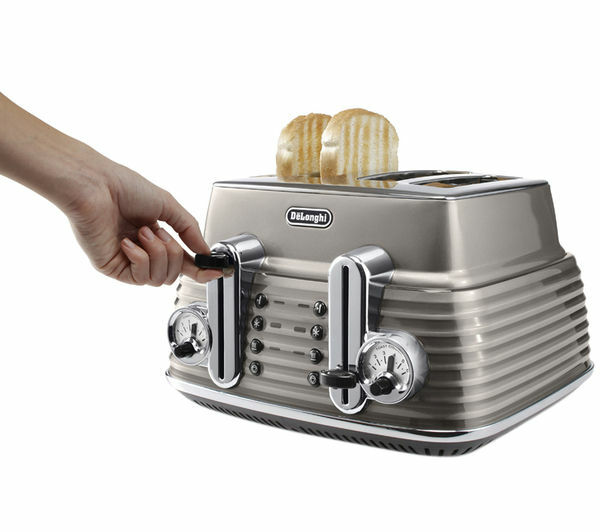 With 1800 W of power, the Scultura is able to deliver perfect toast on demand, and thanks to adjustable settings, you can ensure your toasted sandwich is browned exactly the way you like it. 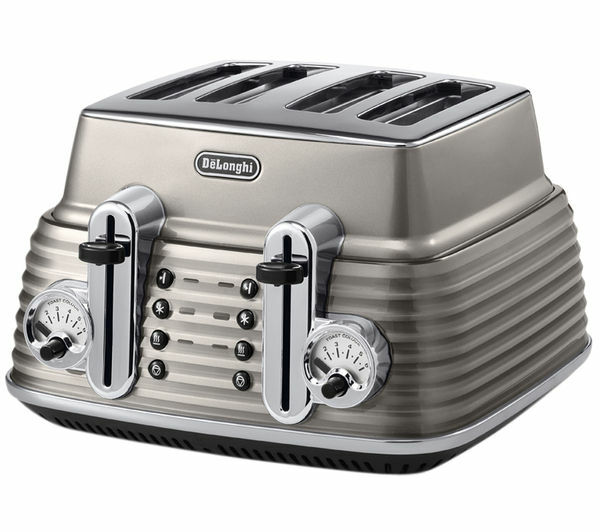 This toaster also features defrost and reheat functions, has a dedicated setting for bagels and also has adjustable width slots – allowing you to toast even the chunkiest of slices. There is room for up to four slices at a time and the Scultura CTZ4003 allows two slots to toast independently, helping to save energy if fewer slices are required. 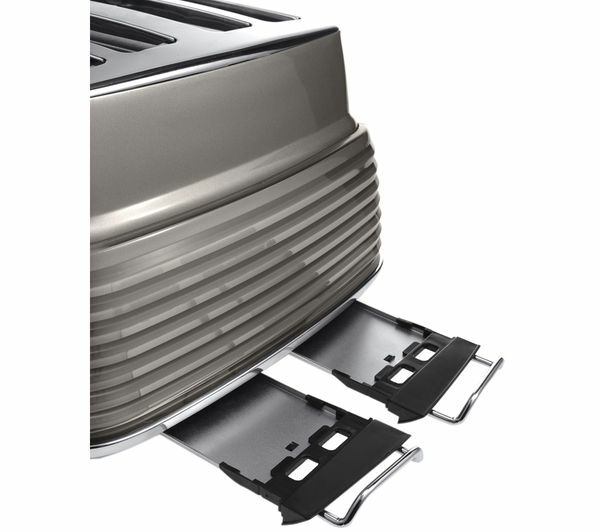 Removable crumb trays make cleaning and maintenance easy, while cool sidewalls help to keep fingers safe from burning when using the appliance. 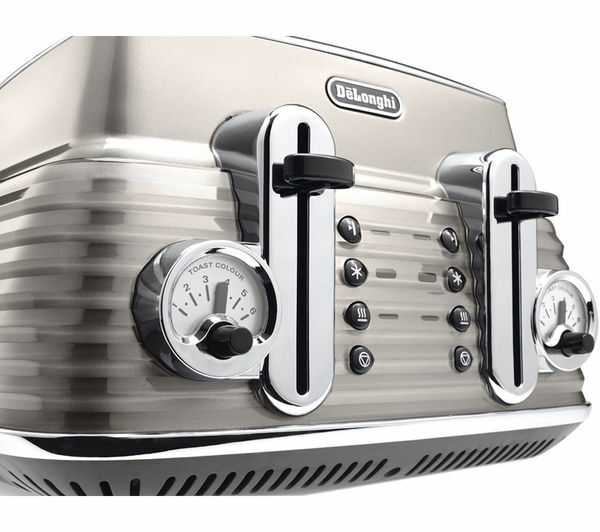 The unique De'Longhi Scultura range exhibits authentic beauty, teaming soft reflective lines with elegant curves. What's more, you can complete the De'Longhi Scultura kitchen set with the matching champagne ECZ351BG Espresso Machine and KBZ3001BG kettle. 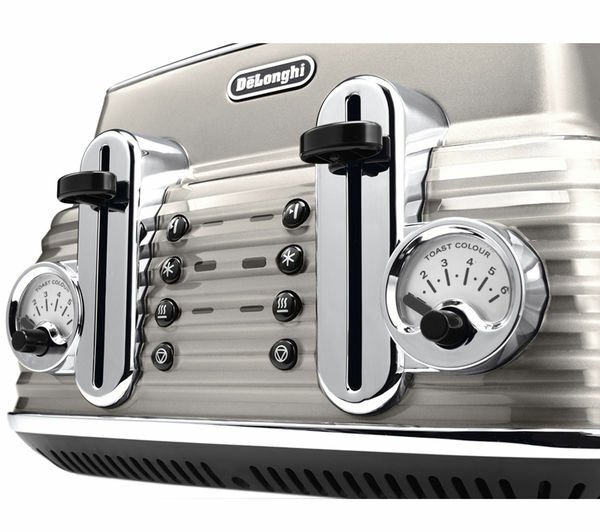 Coordinate your kitchen at breakfast time and serve up tasty toast time after time with the De'Longhi Scultura CTZ4003BG 4-Slice Toaster.